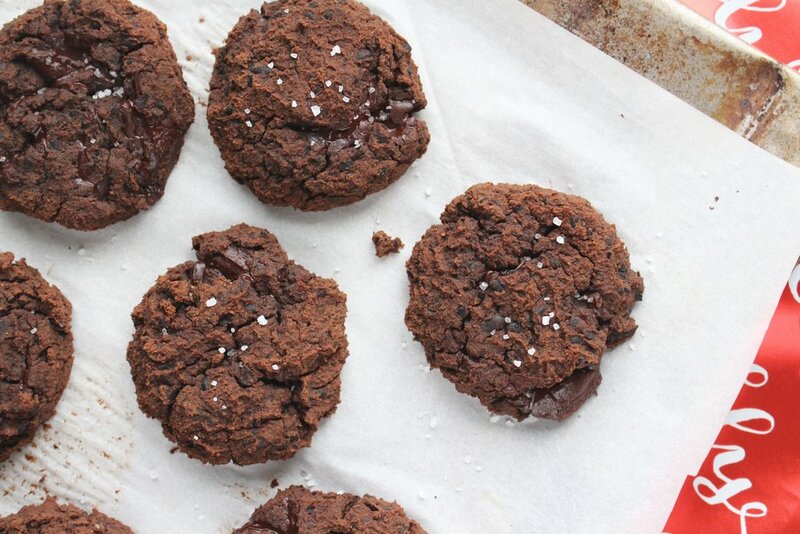 Yup, we did it, we ate ten cookies in a matter of twenty-four hours. It was more like eighteen hours and twelve cookies, but really, who's counting? 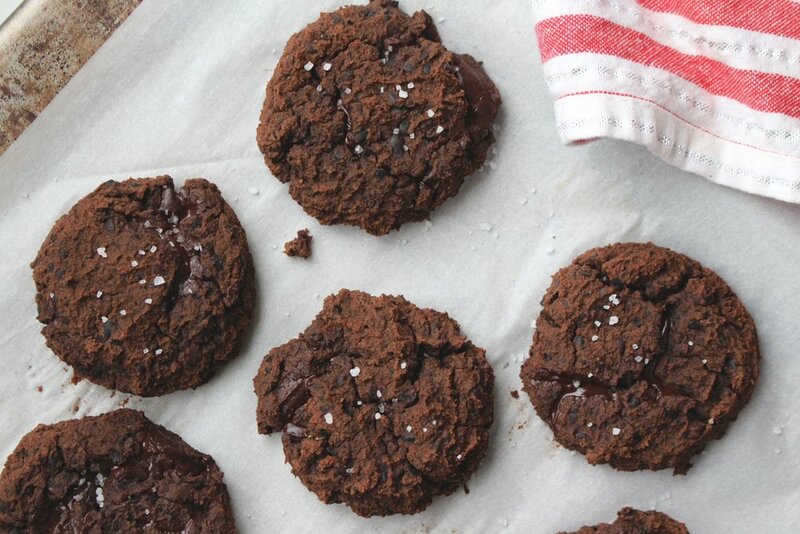 These grain-free chocolate chunk cookies are (were) that good. 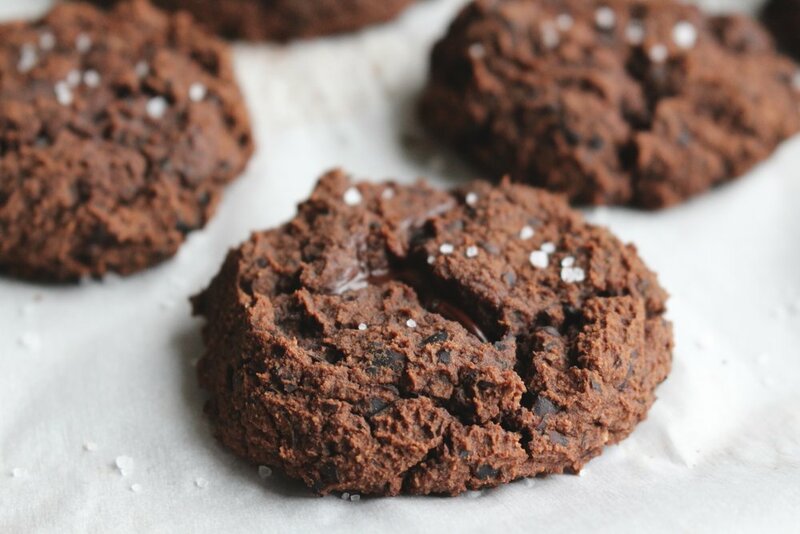 They were better than any grain free chocolate cookie I have ever had - including the Starbucks Flourless Fudge Cookie. I'm not sure if I was in pure shock, disbelief, or bliss as I was inhaling these cookies at an impressive rate. All I can say is, make them, you must make them. I love substituting black beans for flour in most of my brownie recipes. Not only do they lack any sort of flavor, but they also add a really nice creamy texture to the expectingly soft dessert. Black beans break down to a starch and are one of the best sources of insoluble fiber, meaning your body is not able to digest it. Since this breakdown does not happen, our body does not convert the starch into simple sugar, and our blood sugar does not spike. Along with keeping our insulin leveled, this insoluble fiber also helps to keep things moving in our large intestines (hello poop!) Both being crucial to the body and definitely not possible with overly processed flours and grains. 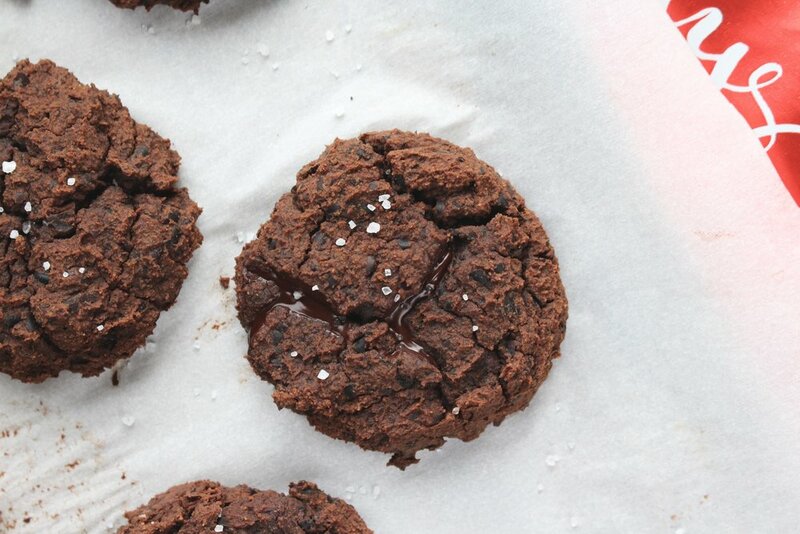 I think it's safe to say, these cookies might just be the tastiest way to amp up the dietary fiber in your diet! 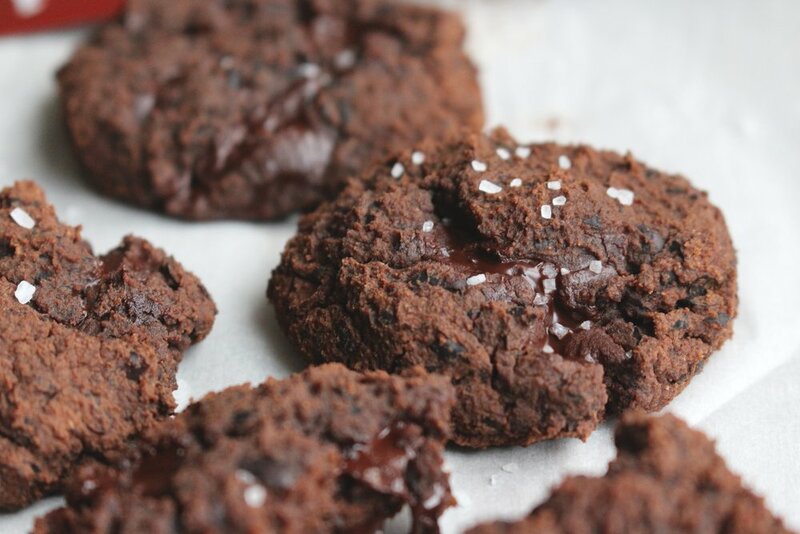 We're keeping things refined sugar-free for this recipe and believe me, you won't even notice a difference! This recipe calls for 2 tablespoons of maple syrup and that is it. The batter is creamier than most cookie dough batters and does require some refrigeration. I preferred to use two spoons to form the circular cookie balls, but you can use the drop method as well. I would also suggest letting your baked cookies cool completely before eating them, otherwise they are a bit soft and tend to fall apart more easily. 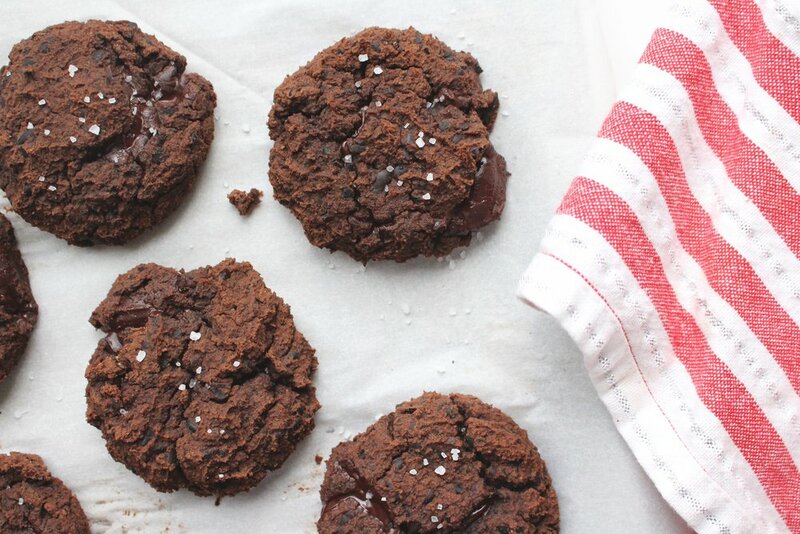 I hope you love these grain free/guilt free, fudge filled, dark chocolate, creamy cookies as much as we do! 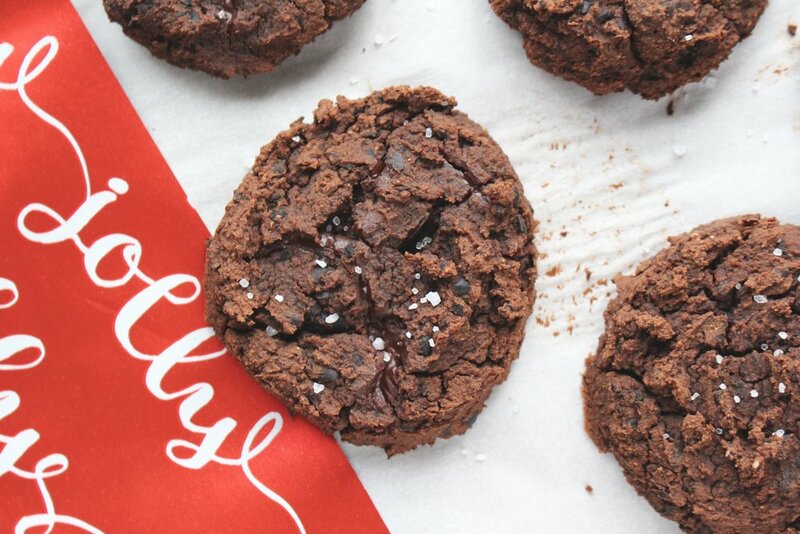 Using a food processor, add all of your ingredients besides your chocolate chunks. Blend on high until the batter is smooth and the black beans are completely pureed. Scrape down the sides occasionally to prevent chunks. Once blended, set in the refrigerator to chill for at least 10 minutes. Add most of the broken chocolate chunks to the batter, saving some for toppings, and fold together. Use two spoons, or your hands (warning, it is messy! ), to scoop out the batter and place it onto the cookie sheet. Add remaining chunks and bake for 10-12 minutes.